Website design is NOT what it used to be! You may think that you need to hire a professional programmer to build your own website. You have no experience in HTML and CSS coding? Let me show you how easily we can create a brand-new website in under one minute with today’s technology and advanced automatic methods. Everything you need is in one place and can easily be done by a non-programmer. 15 years ago, it would have taken you a degree in advanced programming language, and probably about a month to get a website on the Internet ready to go. Nowadays it has become almost a child’s play. There are many platforms that offer a very easy way to create a website, but today, I’m going to show you my preferred method. 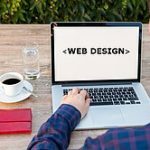 Before we jump into the real design, I would like to point out briefly a few things that you need to know and apply prior to building your website. These are important facts that will give you an advantage over other similar websites. Bear in mind that all of these items listed here are only explained briefly and are not to be considered a “training” as per say, but more of a short-term explanation. SiteRubix has taken out all of the technical aspects of building a website and is a highly customizable content management and blogging platform with has all of the functionality of a high-level platform. It has an ecosystem of thousands of third-party themes, plugins, and widgets. Let’s not forget that it is mobile ready, which is very important since a lot of the web traffic is now viewed on mobile devices. Although the learning curve is a little steep for the beginner, once mastered, WordPress is highly customizable and very powerful. 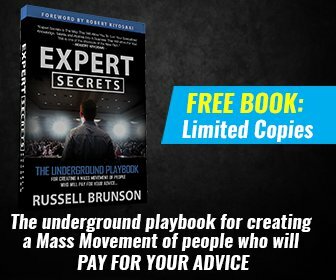 In my opinion, it is the world’s fastest and easiest web builder! In today’s world, everything must go fast! That includes the loading of your website. With Wealthy Affiliate’s platform, we take care of the speed by optimizing your website automatically. There will be things you will have to do manually. One of the main reason for slow loading website is the size of images. When choosing an image for your website, make sure that it is small, like in KB, and that it is compressed to the maximum. When I chose an image that is not within the actual Wealthy Affiliate Image library included in the Site Content part of the platform, I use a website called Tiny PNG. It is Free and very easy to use, just “drag and drop” your image and it compresses it in seconds. Once compressed, an image loads a lot quicker, and therefore your website speed goes up. Another big part of becoming an authority online is making people comfortable, at ease, using your website. That green padlock next to your website’s name is what I mean here. But you don’t have to worry about this either because it is also included with the premium membership. Spam! I don’t think that there is a human being on this planet that likes it. 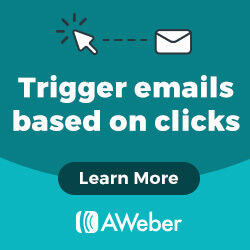 Especially if you start a website and all of a sudden, “spam bots” start spamming your website with unwanted comments or even in your e-mail inbox. The thing is after you register a domain (the name for your website i.e. gratefulaffiliate.com) your information is collected in a database called WHOIS. WHOIS is not an acronym, it simply means “who is” responsible for this domain. They have your mailing address and other details. Spammers use this to spam you, and it can get very disturbing. Again, no worries here, Wealthy Affiliate has got your back with an automatic Spam Blocker within the web hosting part of the platform. You will have to choose a “theme” for your website. Themes are what the actual word “theme” means. It is what your website will look like. There are thousands of FREE themes available, and they are also available through your website’s WordPress dashboard. You must keep in mind that the very first website you create will evolve and you may be enticed to change it down the road as you gain more experience, interact with your audience and basically want to add more content to it. It is important to understand that a website evolves constantly. It is not static, it must adapt as you and your online business grow. You may find yourself changing your theme after a while, and it’s ok! WordPress makes it seamless, and you can preview what it would look like with the new theme before actually publishing it. When we say functionality, what we really mean is “ease of use”. As I said earlier, for my websites I use WordPress, which is part of the Wealthy Affiliate platform. Once you are registered with Wealthy Affiliate and you create your website, getting to the WordPress platform is as easy as clicking on a few buttons. 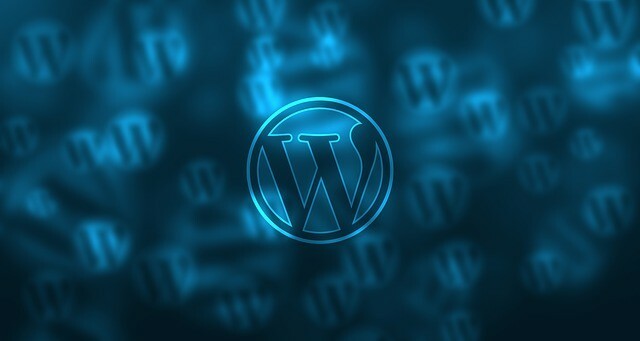 WordPress makes it very easy to create a very elegant and functional website. In fact, WordPress is celebrating its 15th birthday in 2018. It has evolved over the years and is very user-friendly. 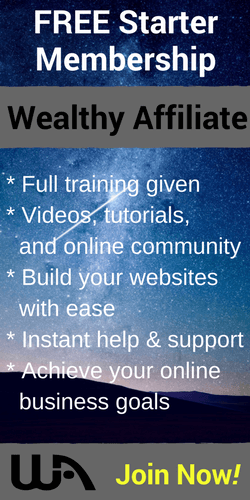 Even if you are not familiar with WordPress, Wealthy Affiliate provides a complete A to Z training on how to navigate and create your website using this platform. This will be the most important part of your online business. Without content, your website is an empty cyberspace. You will need to constantly create quality content for your audience. Why? To get your audience to actually visit your website. This is what we call traffic. To get traffic, you need to get in the good side with the search engines like Google, Bing, and Yahoo using SEO (Search Engine Optimization) and low competition keywords in order to rank your website on their first page. However, this is a whole subject by itself and cannot be explained in a few sentences. Just keep in mind that a website without traffic is worthless. So, this is one of the major aspects of an Online Business. There are thousands of articles and training on how Google indexes websites. We’ll leave it at that for the purpose of this article. In order to show you how fast you can create a Website using Siterubix, I created a short video. It took me less than a minute to create a fully functional website. If you want to build your own website for FREE (You can actually get 2 FREE websites) just click on the link below. You can also —> CLICK HERE <— to read about Siterubix from another active member of Wealthy Affiliate. Thank you for the post. This is an informative post that explains many features of the Wealthy Affiliate platform. 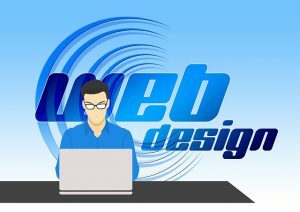 Having a professionally designed web page is essential if your goal is to connect and engage with interesting content. I believe if someone, for the first time, reviewed this page, they would indeed take a serious look at this company and join. The other posts on how to start a profitable website, what are keywords and how to start with affiliate marketing were as well interesting. IBO Toolbox is a great site and anyone wanting to connect with other business people should join this free platform. Thank you for your comment. I agree with you when you say that our ultimate goal is to connect with other business people. Both Wealthy Affiliate and IBO Toolbox are great places to be active in a community of like-minded people! I wish you success and wealth! Great article! You pointed out all the awesome benefits of Wealthy Affiliate and Siterubix. I’ve used both and if anyone that hasn’t tried it, YOU SHOULD! It is easy to use and has everything this blog mentions. It is so easy nowadays to create a website with Siterubix, its just a few point and clicks and the framework is done! You just have to follow the instructions! I have just built a website using the siterubix plugin on your website and I have to say it was very easy and interesting. I was wondering, since I see the quality of this tool is so high, compared to others I have worked with before which were pretty expensive, will I have to pay for the maintenance of the site and other services or is it entirely free? The free websites are FREE for as long as you like. There is no maintenance cost or recurring charges. These are really FREE forever my friend. Hey this was a really good article and it really shows how easy it is to build a website these days. I can’t believe I just got into this site making and affiliate marketing just 4 months ago because I have always been interested in that. I never knew it was that easy to build a website until I joined wealthy affiliate so I know this was one of the best decisions I have made. I am glad that you have joined with the best Online Marketing platform on the Internet – Wealthy Affiliate. I agree with you, building a website is very easy using their tools! Keep on going upwards! Great article! People need to know that it can be done! Thanks for stopping by Ashley. I agree we need to tell people that it can be done FOR FREE!